I first met the trio that is Twisted Roots at a gathering of the St. Louis Brewers Guild back in February. There I reconnected with Kris Wanglin, whom I met previously when he was a brewer at 4204 Main Street Brewing Company. I learned quickly that it a mix of fate and good luck that brought Kris and two of his brewing mates, Corey Sanftleben and Adam Patterson together to become on our town’s our newest brewing super trios. Combined, the three bring nearly 28 years of brewing experience together, all for the sole purpose of giving us a bar that brews its own beer. That’s right. 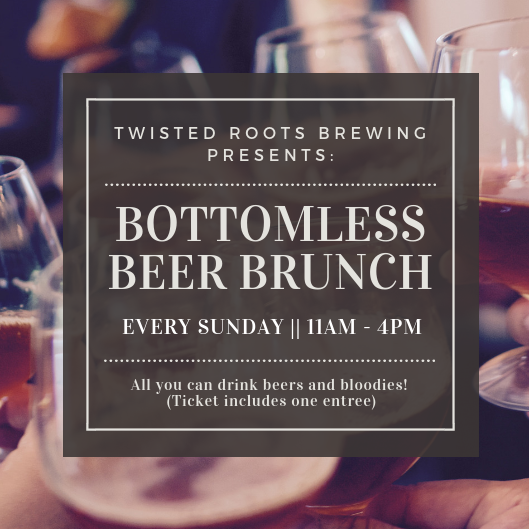 Twisted Roots, at its core, is a great bar that brews its own beer. I reached out to Kris Wanglin, to get a view of what’s coming in 2019. We are looking forward to a lot of new beer styles. Some will be Twisted and we will definitely have our Roots line running strong. There will also be some barrel projects to look forward to. To round it out, we are going to roll out a new menu and see about running some more specials, maybe a beer and food pairing night. There will probably be a couple releases every month, and not really sure at this point what all of them will be. We will have a great variety! We are looking to run a few hop harvest beers again this year. Not many, they will probably take on different style nuances from what we have previously done. We are going to try and resurrect a few dead styles as well, which is always fun! We are looking to have a few festivals throughout the year, we just have to negotiate logistics with the construction crews and our other neighbors to make sure it works for everyone. Meanwhile, if you have not checked out Twisted Roots’ ongoing monthly events, you’re missing out. All you can drink beer, bloody’s, and mimosa’s; meal included! 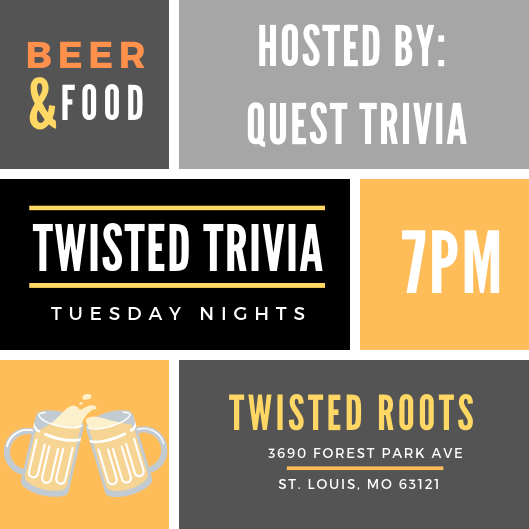 Twisted Trivia Night is hosted by Quest Trivia every Tuesday Night starting at 7 pm! Hit the books, hit the bar, or do both at the same time! 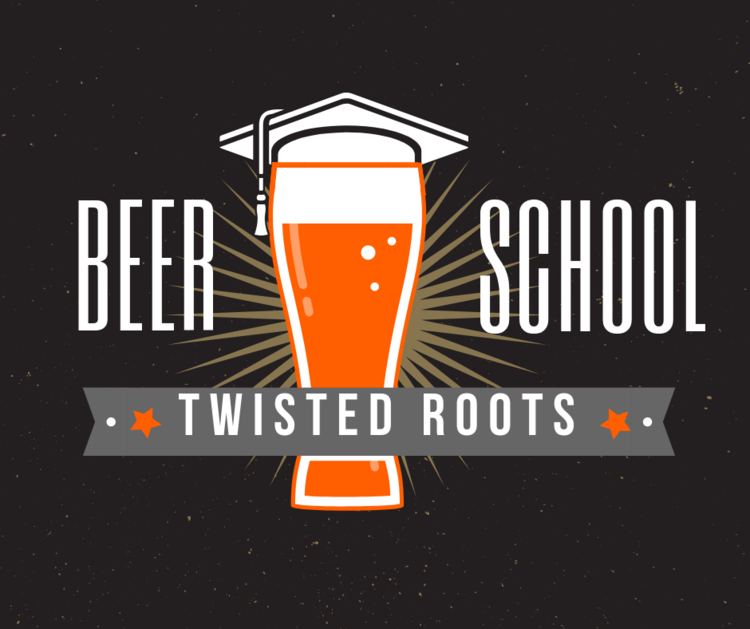 Beer School starts at 7pm every Wednesday night following their $20 Happy Hour from 4pm – 7pm. We finally have major construction going next door for the City Foundry project, so lots of new faces and things to look forward to in the coming years.